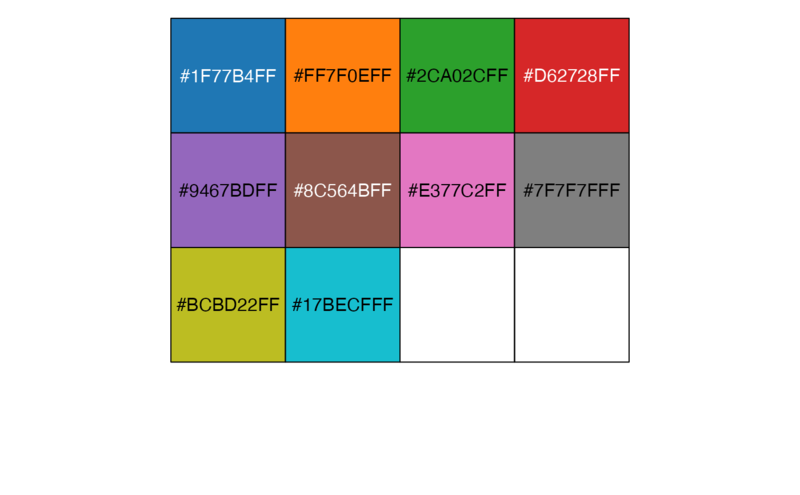 Color palettes based on the colors used by D3.js. 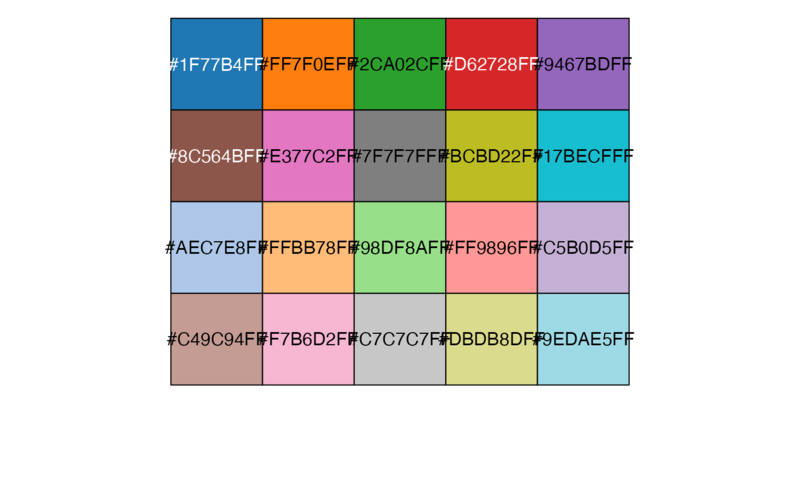 Palette type. 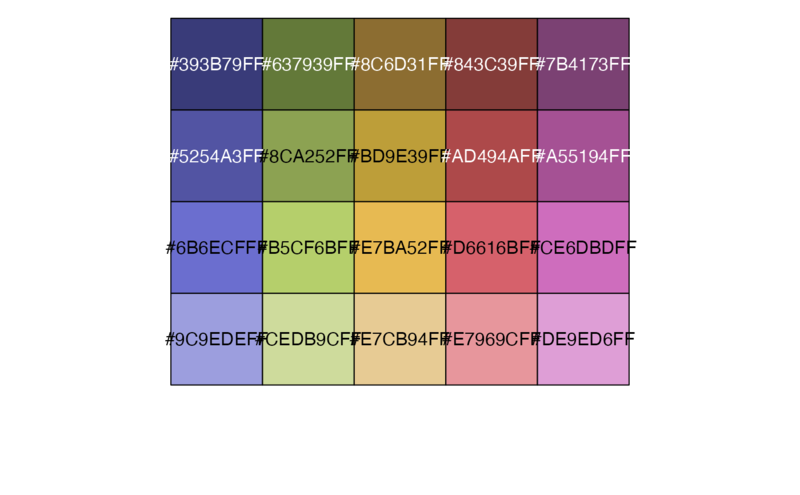 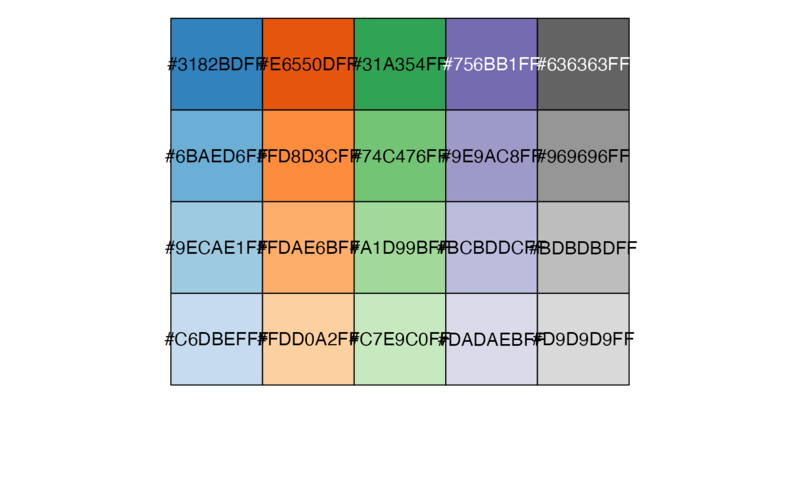 There are 4 available options: "category10" (10-color palette); "category20" (20-color palette); "category20b" (20-color palette); "category20c" (20-color palette).